Are 75% of your social media posts about listings? Are they all about you, all the time? If so, it’s time to turn over a new leaf: time to adopt the 80/20 Rule. 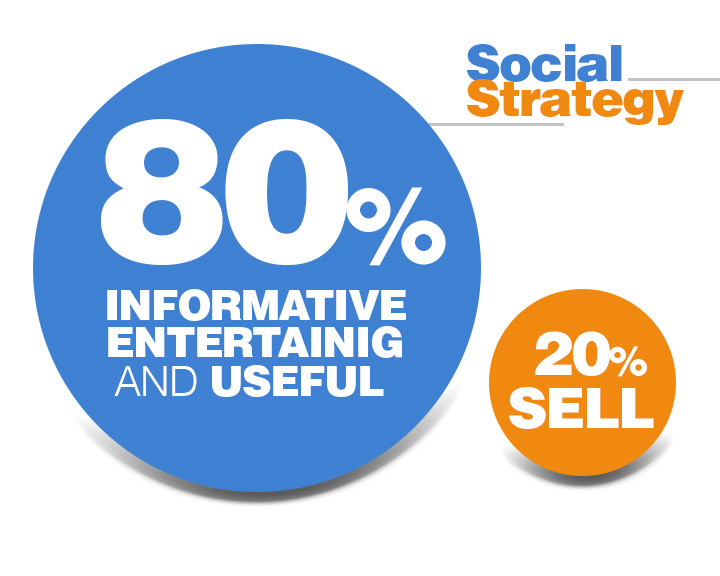 The 80/20 Rule is the cardinal rule of social media marketing. It states that 80% of your social media posts should inform, educate, and entertain your audience, while only 20% should directly promote your business. This rule grew out of a concept called “permission marketing,” outlined by Seth Godin almost 10 years ago. Why do consumers have the power to ignore marketing? Because there are so many options for where and how to receive information. In other words, if home buyers and -sellers don’t like what they see or hear on your social media channels, there are thousands of others to try. So if you want to grab – and hold – their attention, your social media content has to cut through the chatter and give them a compelling reason to stick around. Community videos are a popular type of social media content that informs, educates, and entertains. This is why 80% of your social media content needs to inform, educate, and entertain your audience. Buyers and sellers prefer posts that offer value – and not in the form of a hot price for a great house. They want posts that help them navigate the tricky world of house-hunting or -selling. Today’s marketers call this “adding value”: giving something away (in this case, a little of your expertise) in order to help establish a relationship. Here are some examples of real estate-related social media content that informs, educates, and entertains. This is the kind of stuff you should be posting 80% of the time. Here are some examples of social media content that directly promotes your business. This is the kind of stuff you should be posting only 20% of the time. Ready to give it a try? Your social media audience certainly is! Start following the 80/20 rule, and watch your engagement spark! You know, I always more or less knew this was true, but never really thought about giving it a proper ratio. 80/20 seems about right to me, although you might even go for 90/10 or something just to be safe.